Ever since a fellow writer mentioned obscure holidays, I’ve had so much fun writing about them on different blogs. In recent blog posts, I’ve talked about National Potato Chip Day, Maryland Day and National Fluffernutter Day, just to name a few. As I write this a few days ahead of the scheduled post, I discovered that March 24 is National Chocolate-Covered Raisin Day. I love chocolate-covered raisins. However, today’s post is about National Joe Day. When I discovered that my blogging day fell on National Joe Day, I knew that had to be the subject of my post. After all, I have a son-in-law named Joe. Although National Joe Day isn’t an official holiday, it has been celebrated since 1800 when Joseph was a very popular name. The day is the one time when people can call themselves “Joe” no matter what their name is. The name became associated with the idea of the common, everyday man with such expressions as Good Joe, Joe Blow, Average Joe, Ordinary Joe, GI Joe, Lunch bucket Joe and Joe Cool. Joe has even become associated with a cup of coffee. The Scottish word “joe” means sweetheart−perfect for a romance writer. Today we can all be “Joe” and celebrate with a cup of coffee or a sloppy Joe sandwich. I’ll take the sandwich because I don’t drink coffee. As a writer, I am always looking for names to give my characters. 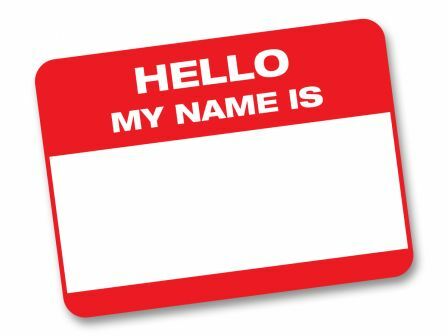 I like to choose names that were popular when the character would have been born or names that are associated with a certain area, especially surnames. Have you ever read a book with a hero named Joe? What is your favorite hero name? Once again I have back list books to give away. If you’d like one, please use the contact button on my website or leave a comment. My sweetheart’s name is Joe and I have Scottish roots so this is just perfect. And I know he’ll just LOVE that he has a day named after him! My birthday is on April 23rd… do you know what’s on April 23rd? Although I don’t recall reading a book in which the hero was named Joe, I might have. I don’t really have a favorite hero name. I love either uncommon names or biblical names (or uncommon biblical name :P ). I like it when the character’s name fits his personality. Samantha, how nice that World Book Day falls on your birthday. It’s always fun when special days coincide with something special in our lives. Deanna, thanks for your comment. I don’t think I’ve seen a book with Gerald either, but I have seen Deanna. I had to actually Google obscure holiday’s for my birthday of August 9th. Now I realize that you can’t always count on everything on the internet to be accurate, but I found two things. If they are correct are definitely interesting! One said it’s “Book Lover’s Day” & the other said a couple of things…”Netscape goes public & doubles it value on the first day of trade (1995)” & it’s “International Day of the World’s Indigenous People”. I like book lover’s day, well because, I love to read! It was fun to look up different things that happened on my birthday! I don’t know if I’ve ever read book with the name Joe in it, but I suppose I’ve read enough books in my life to have run into it a time or two! I only can think of one person in my life with that name & it’s the name of my cousin’s husband. He goes by Joseph, though. And of course the biblical Joseph :-) As for hero names, I like anything unusual or out of the ordinary…kind of like my name! As always Merrillee, I enjoyed reading your post today! You always have great insight or something interesting to share with us. And I’d love to have another back list book of yours! I’ve actually discovered I have a few of your Love Inspired books…one in particular is from your Kellerville series “Hometown Proposal”, which looks like a great series! I may have to get the first one “Hometown Promise” to start off right :-) Blessings to you and yours! Trixi, thanks for stopping by the blog again. Canadian Immigrants Day (I’m Canadian, so leaving this in the list), Don’t Fry Day, International Day for Biological Diversity, National Buy a Musical Instrument Day, National Vanilla Pudding Day, National Wig Out Day, and World Goth Day… among a few others that didn’t seem as entertaining. Valerie, it seems as though there are a lot of crazy, fun days to celebrate.